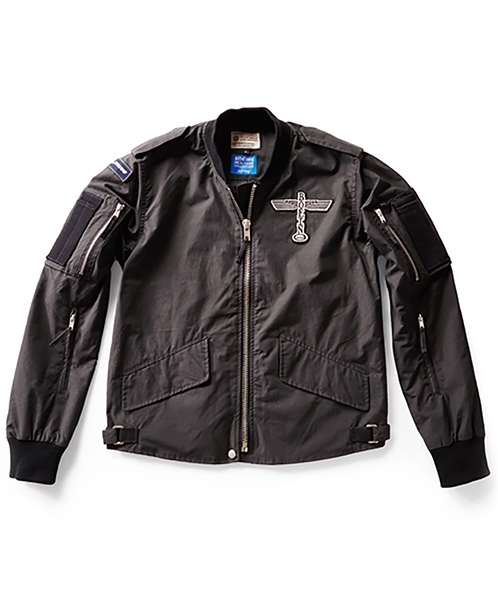 The Boeing Totem Flight Jacket is a stylish, lightweight summer flying jacket takes design inspiration from classic aviation apparel. The charcoal grey jacket, made from an 80/20 cotton/nylon blend, is distinguished by map pockets, brushed nickel zippers and rugged canvas shoulders. The lightweight, slim fitting jacket features the Boeing Totem patch on the left chest and is available in adult SM-2X. Due to the Boeing Totem Jacket's slim fit, we recommend ordering one size larger than usual.